The Red Queen famously boasted to Alice that she "believed as many as six impossible things before breakfast." You don't need to tumble down a rabbit hole or be a queen to believe impossible things. Just believe and see what's possible. Riesling may have originated in the Rhine region of Germany, but it is known throughout the world as an aromatic wine with distinct nectarine, apricot, and pear aromas. It also is popularly known as a sweet wine. That’s where our Riesling is different. 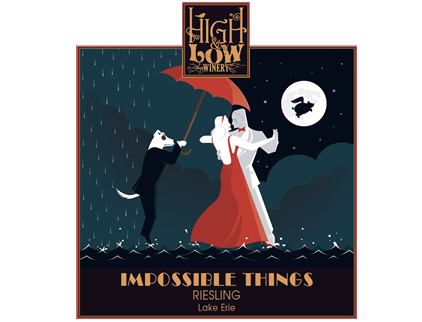 While not quite achieving the impossible, our Riesling showcases what’s possible when taken in an off-dry direction. We find that our Riesling pairs well with spicy foods, especially a rich, bold Asian dish. It also makes for a great aperitif. Or pair it with whatever you prefer, or with nothing at all! At the end of the day we like to say, Drink it, don’t overthink it.